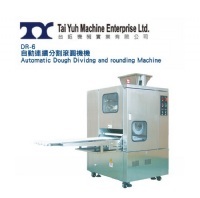 Home / For Visitors / 2019 Exhibitor List / TAI YUH MACHINE ENTERPRISE LTD.
Tai Yuh machine keeps on R&D and manufacturing steamed bun machine, bread making machine, puff pastry production line, pastry cookie production line, dough roller and sheeter, roti paratha making machine, pizza base making machine and other dough products equipments. Our professional training and after sale service group will teach you how to use the machine in the short time and supply sufficient information afterward. For more information, please surf our website: www.best-food.com.tw.